Presidential decree don organise, show how Constitutional Council go work. 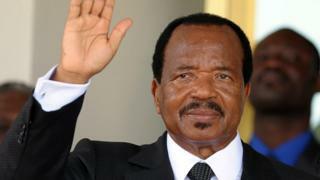 President Paul Biya sign decree on Wednesday for reorganise and make functional dis organ for regulate institutions dem. Since government create Constitutional Council, na dis year de organ go function after 22 years and for dis taim, na Supreme Court be di act. Dr Hilaire Kamga, executive Secretary for NGO 'New Human Rights' tell BBC News Pidgin say though e di kam late, e still dey important for get Constitutional Council and say e kam for beta taim. Constitutional Council na de only institution weh fit regulate institutions dem for normal taim and also if president no dey, e add. But Kamga say de problem na de pipo weh president appoint, some wan dem weh dia character no clear. "Since weh na de Constitutional Council go give result for senatorial and presidential election, politically worry deh", e explain.